As SupaJam is now so well known now as the home of the best emerging bands in Europe we often get venues, corporations and festivals coming to us to help find them artists. At SupaJam we try to help the best bands get great gigs. We have secured slots at numerous festivals and venues including Proud and The Bedford Arms in London and The award winning Forum in Tunbridge Wells. 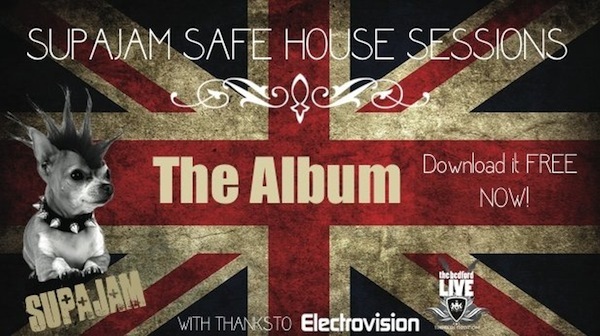 During the London Olympics we placed seventeen SupaJam bands to play for Olympic athletes at the Oakley Safehouse. You can listen and download to the digital album that was downloaded exclusively by over 1000 Olympic athletes here. 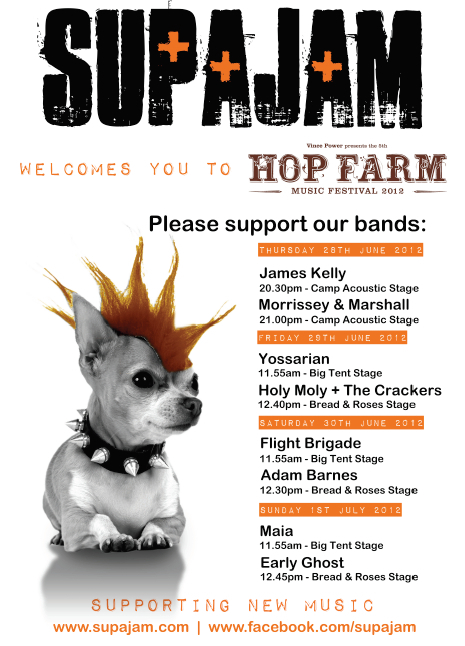 SupaJam bands including Mia, The Dash, Toby Conner and many more have also played regular slots at Powers Bar and we’ve placed bands in numerous festivals including Hop Farm, Strawberry Fields, Lubstock, Woolfstock, Galtras and Benicassim. You can see some of them HERE. We also host a number of our own gigs each year, some independently and some in association with leading brands like Gibson. You can see one of the Gibson / SupaJam gigs below. 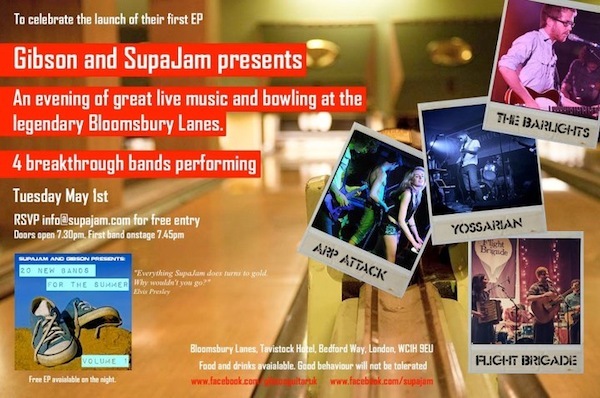 If you would like SupaJam to help find you gigs make sure you are signed up here.